I am currently enrolled at the College of Micronesia. I am 100% Micronesian , and i am passionate to further my education abroad. I am heartened to become a Psychologist for our country. I believe this is one of the area of expertise that we should consider not only as we are students but supporters and advocates. We Micronesians are suffering from the illusion that mental disorder is a form of demon possession or an excuse for laziness and shame! - which is absolutely inaccurate. Most Micronesians do not grasp the nature or atleast the importance of mental health and therefor no one really take the stand to do anything positive but leaves the victims untreated , lonely and reclusive, and in some case beat and shame them to death! I know that my mother beat the hell out of my mentally illed aunty younger than she was. I was a kid back then , who resided on a stranded island of the Federated States of Micronesia south of Pohnpei, specifically Nukuoro. I rememeber watching with several other kids my age and older how my mother will beat her like an animal. As a little kid, I laughed and so did everyone who watched with me. Some gathered there chairs on the side of the beach near my home and mocked and laugh as this poor aunty of mine got beatened and shamed. I am not proud this as i look back because my horizon or understanding of such matter like mental illness only broadens and I realize that my mother and like any other Micronesians were wrong about mental disease!! With every breathe i take, I will fight against those who destroy the mentally ill and i will fight with whatever it takes to make sure that Micronesian understand what is MENTAL ILLNESS. I speak for people like my mom because as much as i love my mom ,I will fight because i know she was blind like any other Micronesians. I need people who can support me financially as i pursue higher education for the betterment of our Micronesian society. I hear you and I know of students that had finished their undergrad in psychology. But, they didn't continue to the graduate level. Yes, psychology is important to all of us. Because each individual have some mental problems that are so mild that no one would be able to recognize or know about. However, most of us can control our psychological problems but as you have shared others cannot. These are the individuals that needs help. For a Pohnpeian, I grew up around some family members that suffered from Mental Illness. And like you said, because no one could truly explain the causes, most everyone concluded that they were possessed with a bad spirit of some sort. I have also witnessed that some got over their mental illness because they responded to local treatments. Meaing local Medicine. Look around you today just on Pohnpei, we can see that there are more people walking about truly suffering from mentally illness. Yet, now one is taking care of them. Even the families are ignoring them. I support your dream to become a psychiatrist. Go for it and I am sure that someday you will make a difference for our Micronesian folks that ended up suffering from such illnesses. Come to guam i can refer you to Guam National Guard recruiter. After Basic training you will be stationed in Guam. Its Close to FSM. The Guard through the G.I bill will get you to achieve that degree you are pursuing and the Guard will also pay you to go to school. I recommend the Guard as your last option. Your 1st option is earn a scholarship, 2nd is start a fund me page. Give these 2 options a try. If they don't bare fruit 1-2 years from now let me know. we have are own in house micronesian forum psychologist and he or she is available 24/7 he or she goes by the username @xectms . Are we a bit salty? no on the contrary im pointing yuchelop to the forum psychologist. Please help him. "A man who had worked as a road manager for an all-male striptease show has been arrested after a spate of bomb scares across the US. 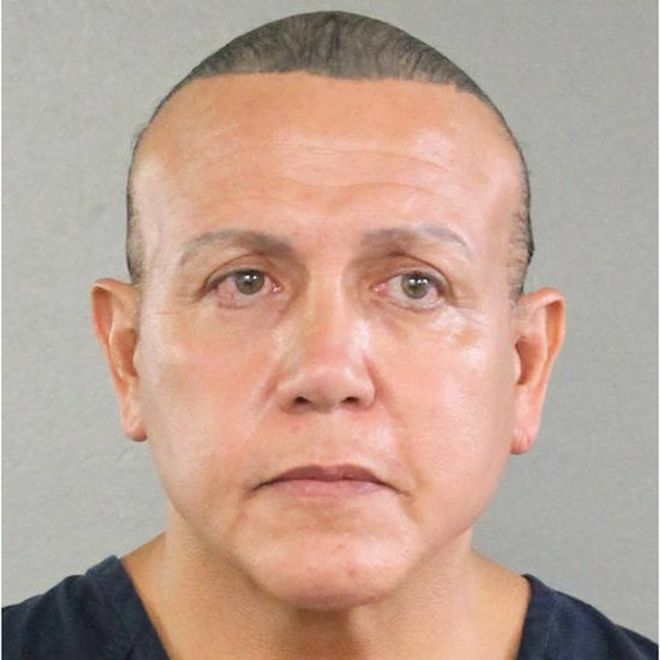 Authorities say Cesar Sayoc - who was arrested in Florida on Friday - is the prime suspect in the case of a mail-bombing campaign aimed at high-profile US figures critical of President Donald Trump. Recent days saw a dozen suspected live explosive devices sent to top Democrats, including former President Barack Obama and former Secretary of State Hillary Clinton, as well as individuals outspoken against Mr Trump, such as actor Robert De Niro." Thats a blanket statement FactsMatters. Its like saying a single muslim terrorists represent the billion muslim community. Or like saying every gun owners have children blood in their hands. It does not do no one any good either Democrat or Republican. "Freedom of Speech," remember? The Trumpsters have established that anyone can say anything they want on this Trumpenesian Forum. So here is some more "fake news." This guy shot and almost killed 1 GOP congressman a year ago, yet according to liberals he does not represent the entire Democrat party. Not all shooters are democrats but one crazed guy is all republicans. My gawd. The inner working of a liberal mind are wonderful. 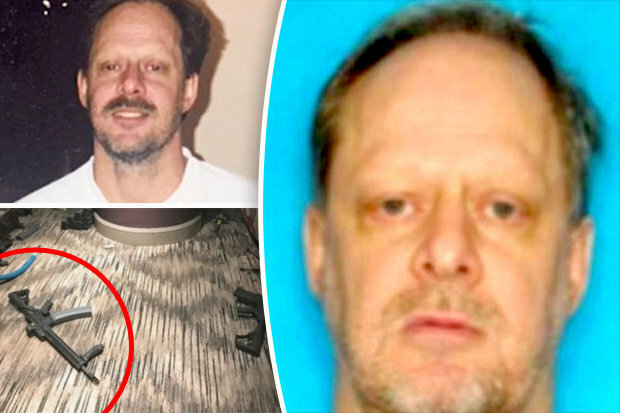 THIS IS STEPHEN PADDOCK WHO SHOT AND KILLED 49 PEOPLE IN LAS VEGAS IN 2017 AND WOUNDED 500 OTHERS. 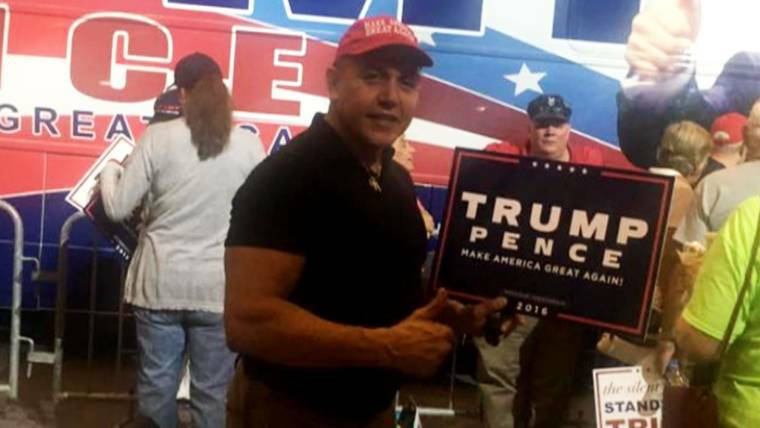 HE WAS INFLUENCE BY ANTI-TRUMP GOP MESSAGES FROM CNN AND HE SAID HE WANTED TO KILL PEOPLE AT A COUNTRY MUSIC FESTIVAL BECAUSE ONLY REPUBLICANS LISTEN TO COUNTRY MUSIC. The FBI has a plan to prevent more bombings. look what was found on this terrorist voter registration record. just another democrat doing what democrats do. @FactsMatters, its not helping. Either if he was a right winger or left winger it does not matter. Crazy people exists in both wings. And like i said many times by spreading fake news or any news remotely related to Trump only helps him. No, ignoring the hatred and violence that Trump promotes is the problem. If you don't see that, just ask any Holocaust survivor about the cost of staying silent. The 97-year old killed in his Pittsburgh synagogue was a Holocaust survivor....but we cannot ask his opinion because. he was gunned down yesterday by a white nationalist. @FactsMatters, what about these from your side? Its nice to live in that liberal bubble don't you agree? Get to pick what you see and what you like. 1.Liberal Never Trumper And celebrity Kathy Griffin photo of holding a decapitated head of Trump. 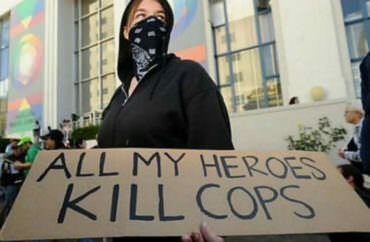 Liberals praised her and applauded her courage to suggest people must kill the President. 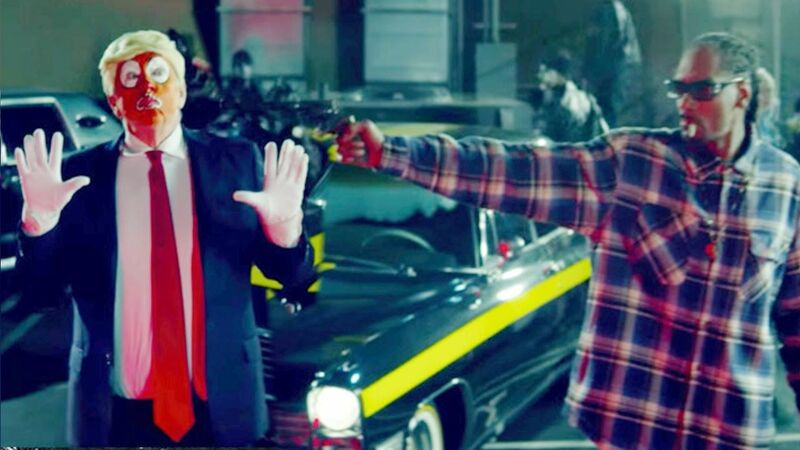 2.Anti Trump and Rap Star and democrat voting snoop dogg video where he shot a Trump look alike. Again he was praised by the left as a hero for inciting violence against Trump. 3.Democrat Senator Maxine Waters, telling democrats to confront anyone and anybody from the GOP side. The media and liberal defended her. 4.MEMBER of Liberal organised and funded ANTIFA holding sign in California Berkeley college says it all. 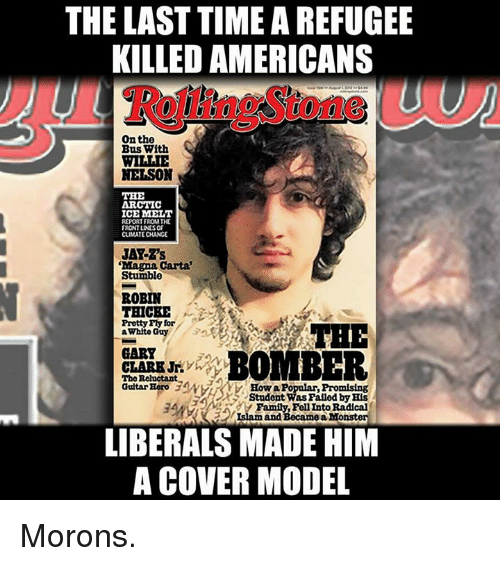 And again media and democrats defended these terrorists. Its nice to be protected by that liberal hypocrisy bubble. As you all can see the democrats are hoping to win the midterms through fear tactics mixed in with a helping of the race card. Pathetic.